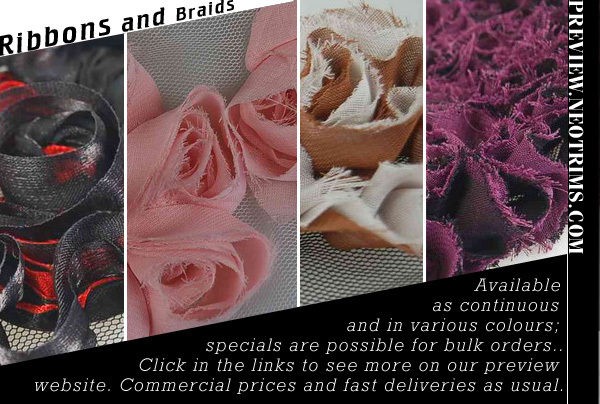 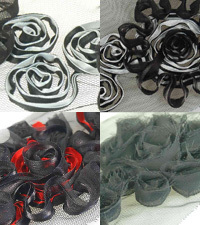 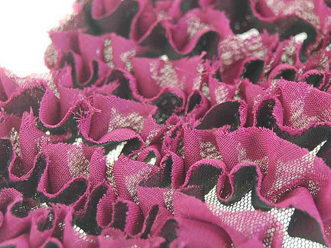 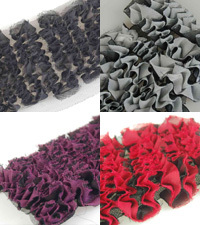 Available as continuous and in various colours; specials are possible for bulk orders..
Black flowers trim, wide trims. 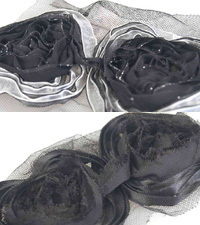 Two colours for choice, black : chiffon trims. 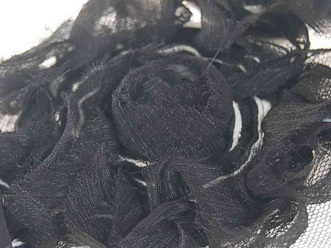 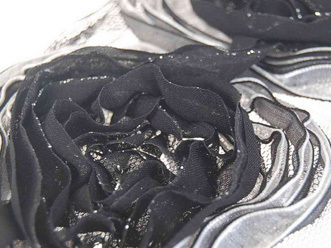 Two tone: black and white, chiffon and polyester ribbon flower.